What do bakkies and dragons have in common? I'm sure that many of you will recognise, and perhaps love or hate, the make of bakkie (an Afrikaans word pronounced "buck-key") in this photo. 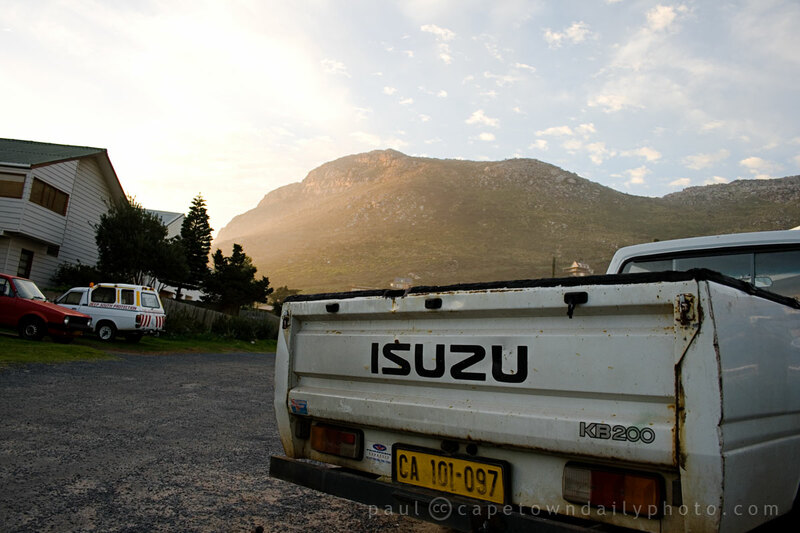 For some reason South Africans love their bakkies. Heck, I've often been tempted to buy one just because they're so convenient when something that won't fit into a regular car boot needs to be carted around. But at the same time, I also hate bakkies. Since many of those that frequent our roads have older diesel motors, they don't accelerate particularly fast - especially when overloaded, as they often seem to be. Also, older models generally puff huge quantities of smelly diesel fumes that force me to roll up my windows and block my car's air-vents. It's true though - these smelly, slow machines are work-horses and play a huge role in keeping our economy going... so perhaps I should tolerate them a little more than I tend to. That said, it would be great if more owners could afford to have their vehicles fixed up so that they puff with a little less vigour. Posted in General and tagged vehicles on Sunday, 6 September, 2009 by Paul. I will take an old-school bakkie over those new, massive, obstructive, can’t-see-past, drive-in-two lanes 4x4s and monster trucks any day! Massive personal gripe. mjw, YES! It’s really annoying getting caught behind one as it’s impossible to see what’s going on with the traffic ahead.